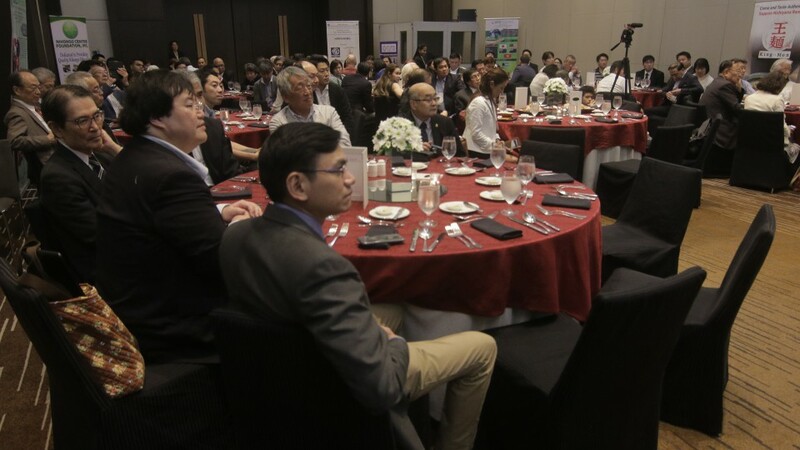 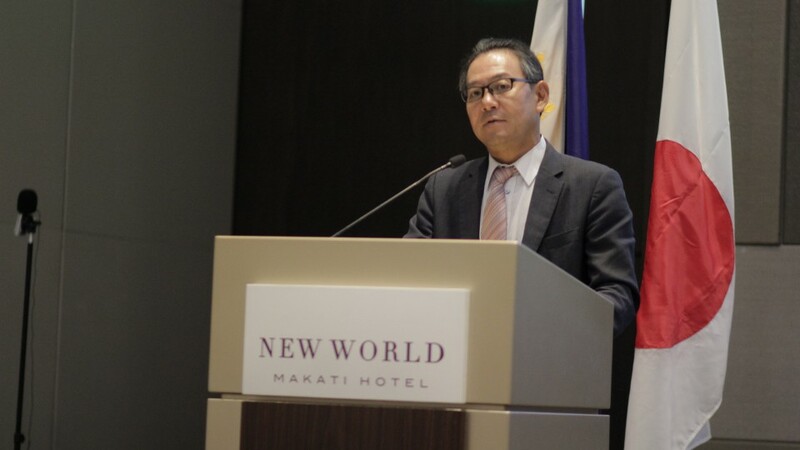 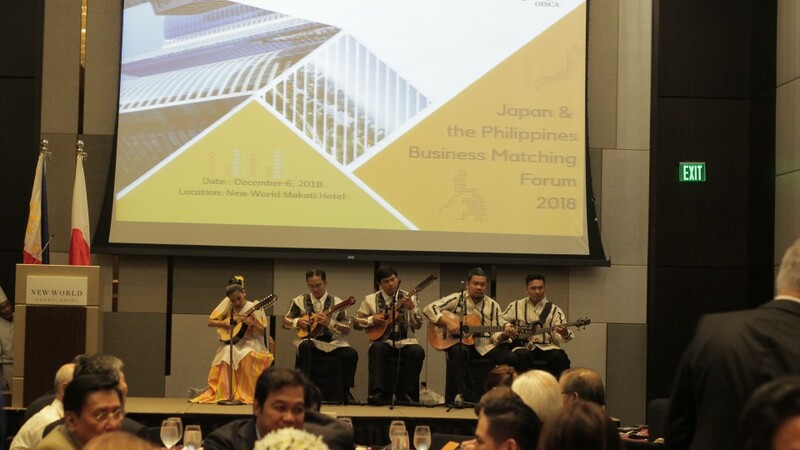 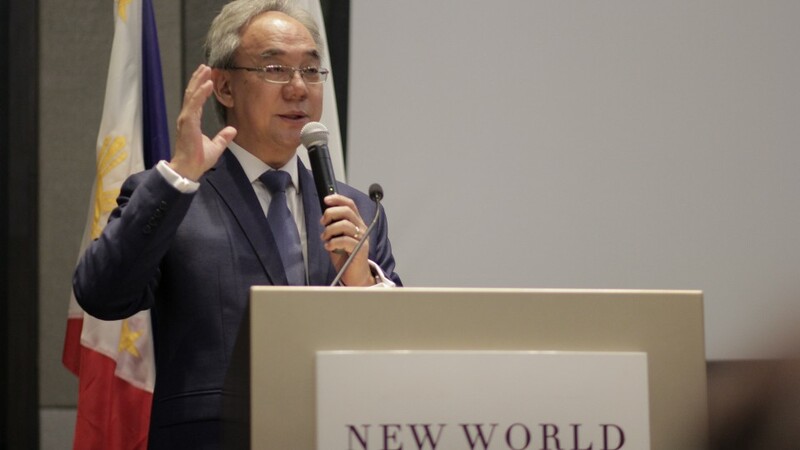 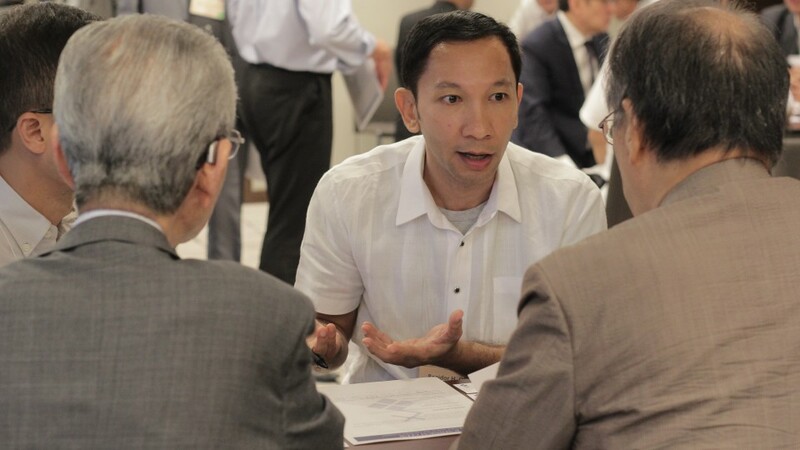 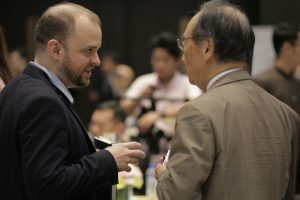 Following the first Japan-Philippine Business Matching Forum held in Makati, Philippines last December, another business matching session took place on March 14 at the Conference Room of the No. 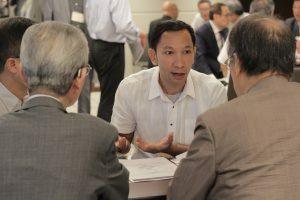 2 Office Building of the Members of the House of Representatives in Tokyo. 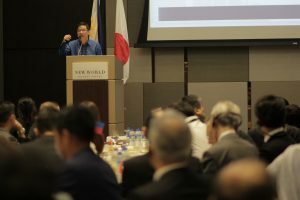 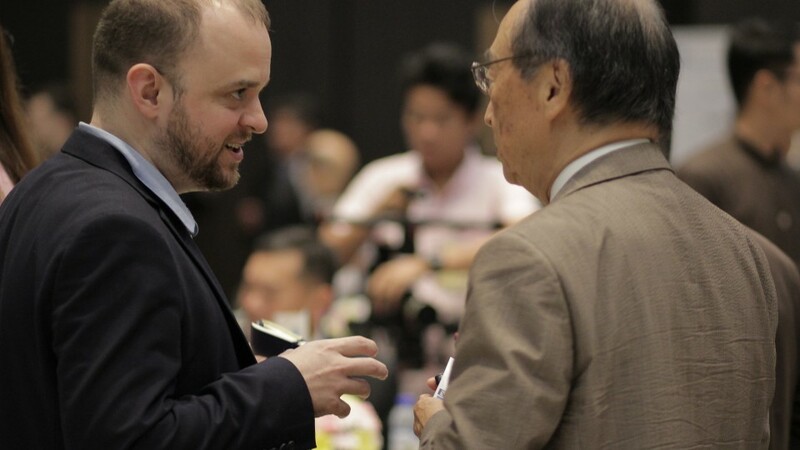 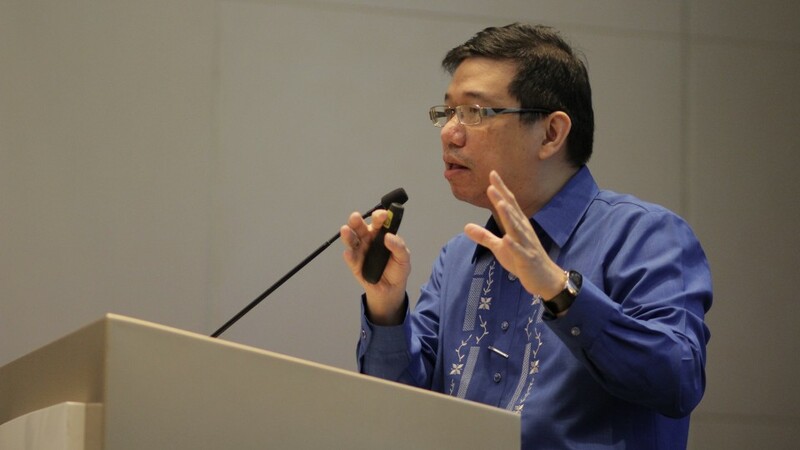 The meeting was jointly organized by OISCA and the Philippine-Japan Economic Cooperation Committee (PHILJEC). 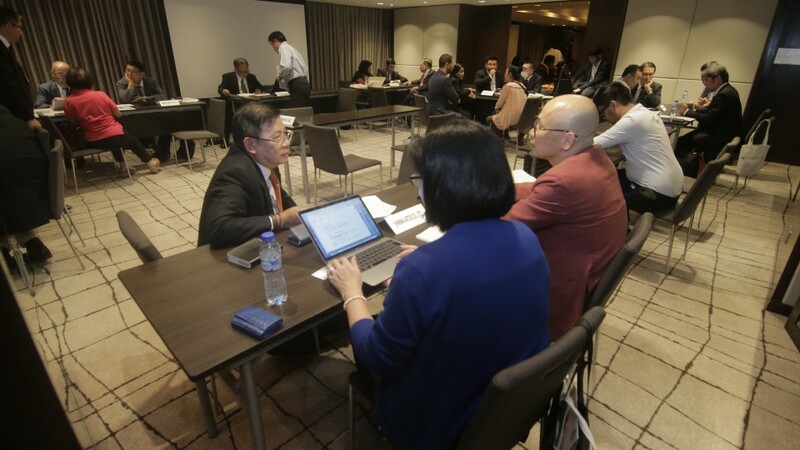 Over 70 Japanese and Filipino business persons representing small and medium-sized enterprises participated in the Tokyo meeting to follow up the initial contact established with respective partners in the first meeting and to look for new business opportunities. 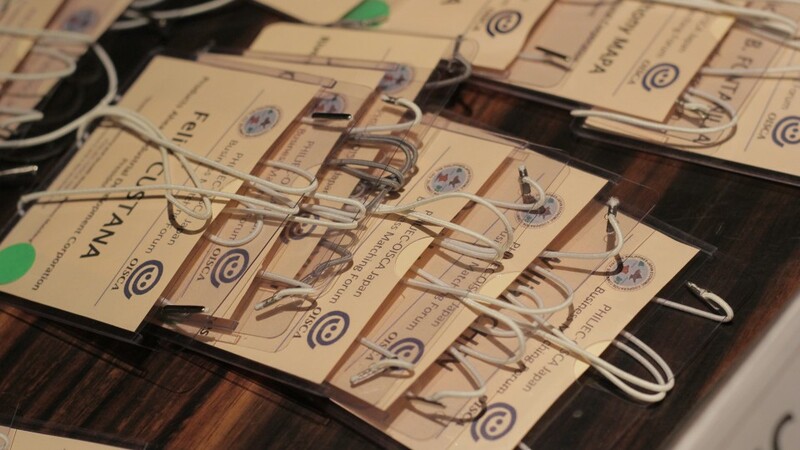 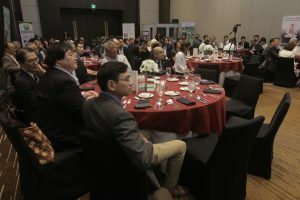 Reflecting a growing interest in this event, the number of participants surpassed the capacity of the conference room as many people who were not registered beforehand showed up on the spot. 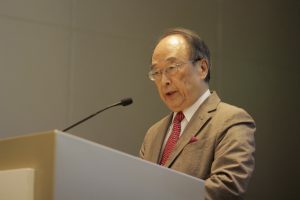 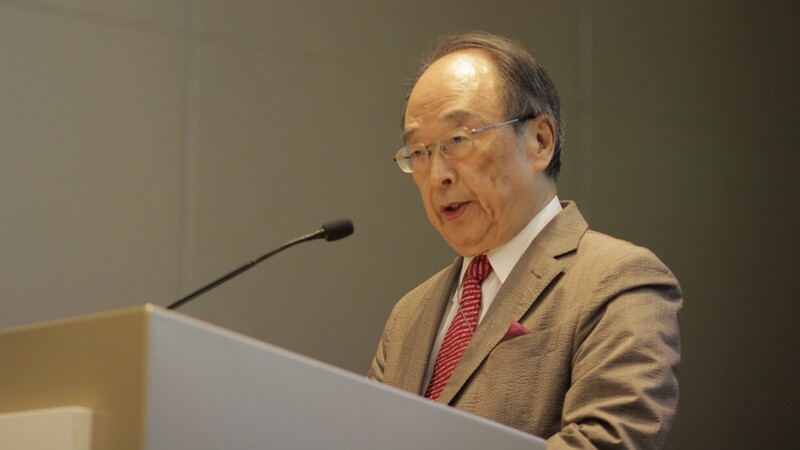 Mr. Yasuaki Nagaishi, Secretary General, OISCA International, opened the two parts Forum with his welcome remarks as the host. 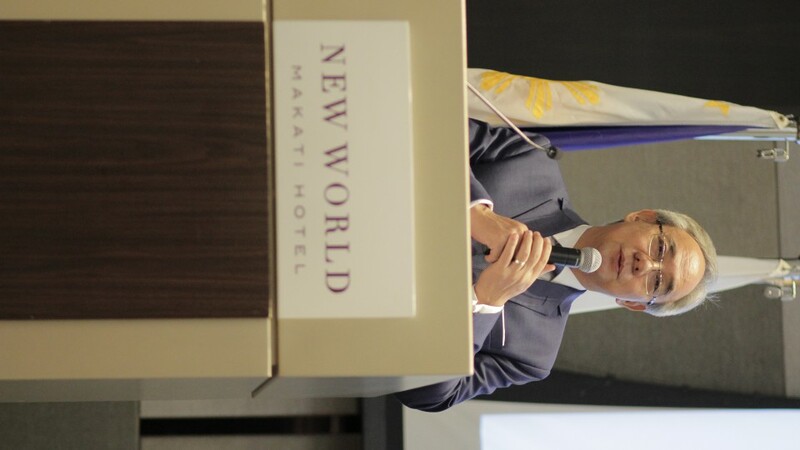 He expressed strong expectations for mutually beneficial business matching talks among the participants. 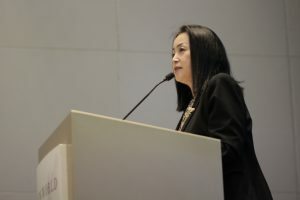 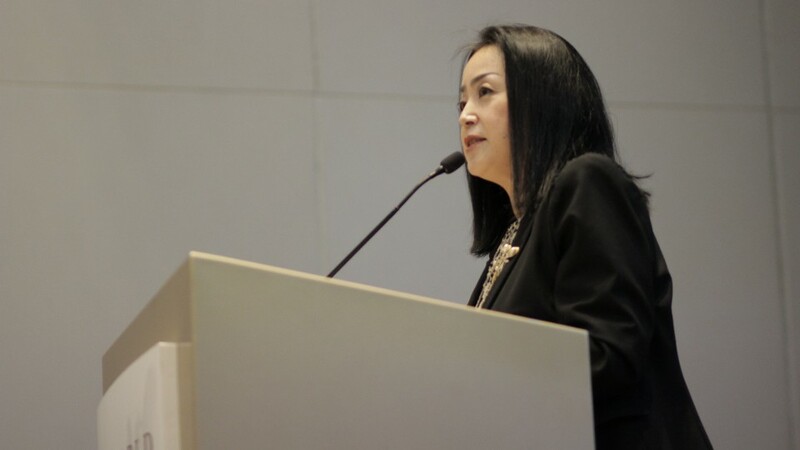 Afterwards, Ms. Nora B. Braganza, President, Japan Employment Providers of the Philippines & Consultants’ Association (JEPPCA), delivered a key note speech She took up three main topics, namely the role of JEPPCA in the overseas employment program, overview of the recruitment process involving licensed agencies and reasons for hiring Filipino workers. 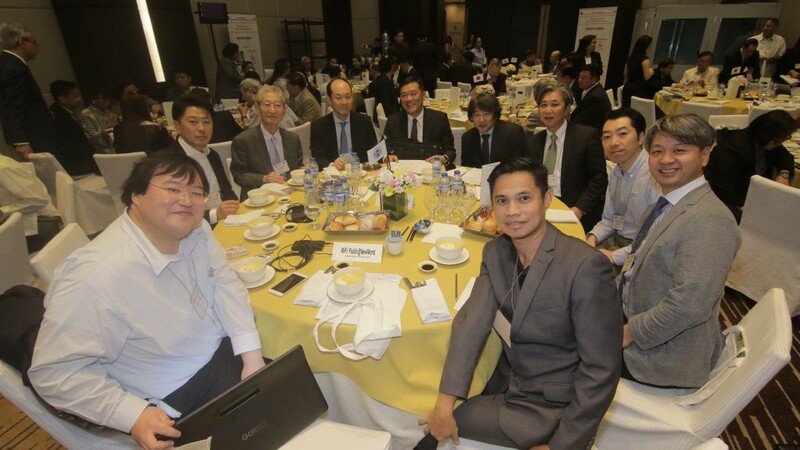 JEPPCA is a professional association comprising 48 licensed recruitment agencies which dispatch workers to Japan and other countries for employment. 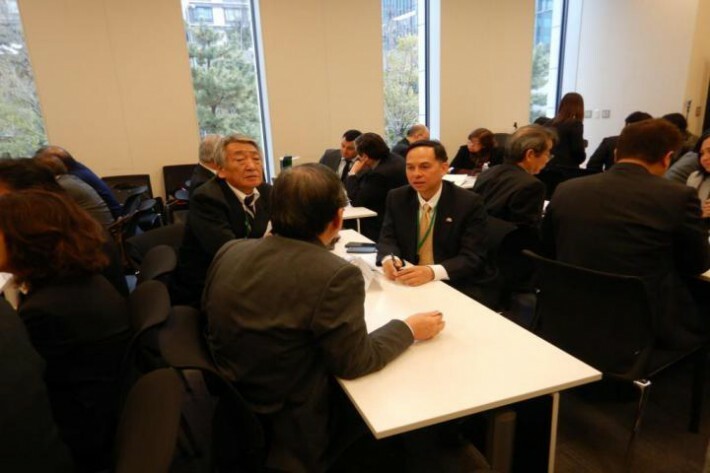 It also provides capacity building programs for job seekers to prepare them for manpower placement projects in Japan. 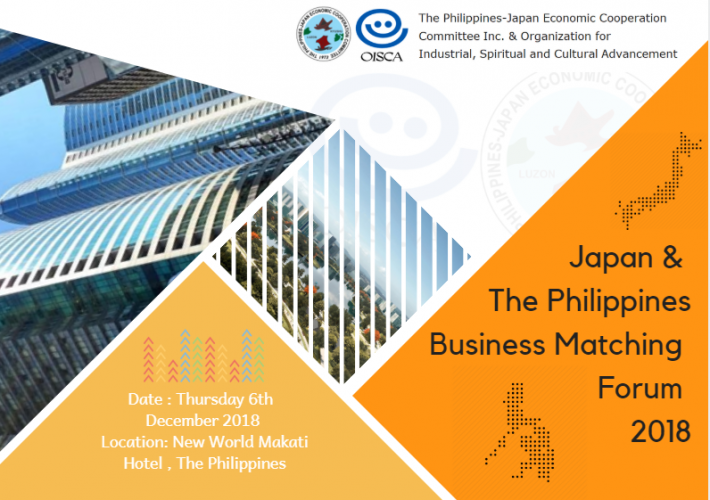 She explained in detail categories of jobs available for Filipino workers in Japan, specific requirements and recruitment and dispatching procedures. 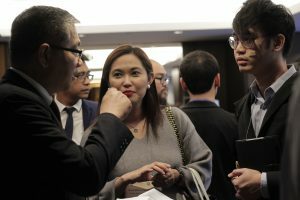 She cited the following 5 factors as the main reasons for hiring Filipino workers: “loyal”, “purpose driven”, “hardworking”, “cheerful and kind-hearted” and “flexible”. 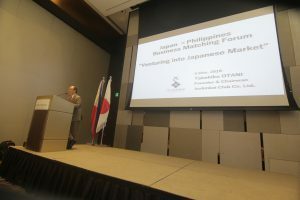 As the second speaker, Ms. Isabel Laurel-Dimayuga, Deputy Secretary of Japanese Language Center Foundation made a presentation on the activities of her organization. 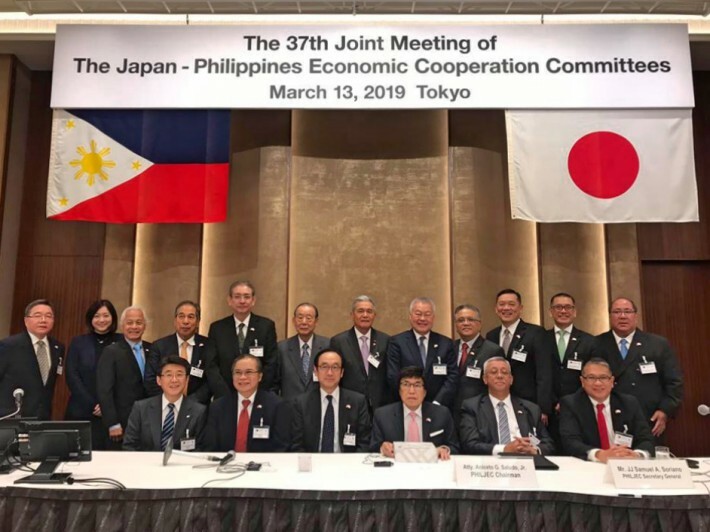 The Foundation assists and supports the Philippine and Japanese Governments in the Japanese language training of Filipino candidates for nurses and caregivers under the Japan-Philippine Economic Partnership Agreement (JPEPA) since 2012. 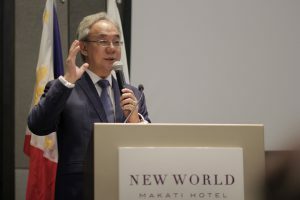 It runs 3 school branches, 2 in Makati and 1 in Manila. 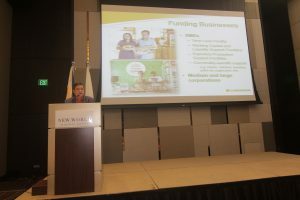 Lastly, Dr. Luzviminda Jose, Sacred Heart Diagnostic Center, spoke on medical services needed by Filipino workers before deployment overseas. 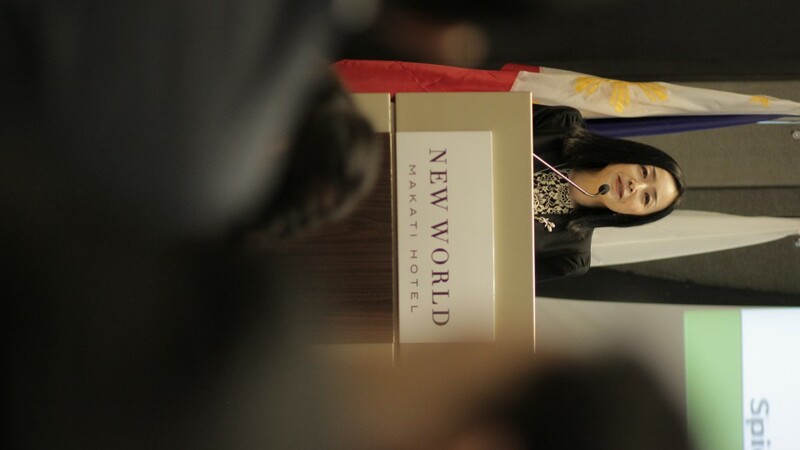 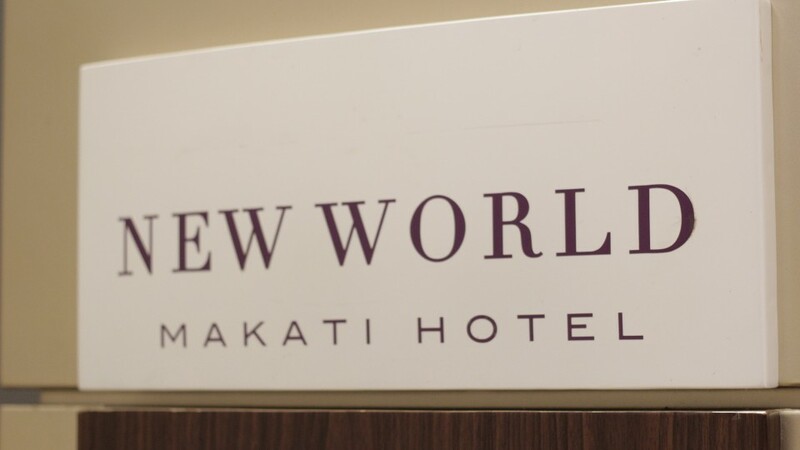 She introduced specific medical services and facilities available at her medical center located in Makati City. 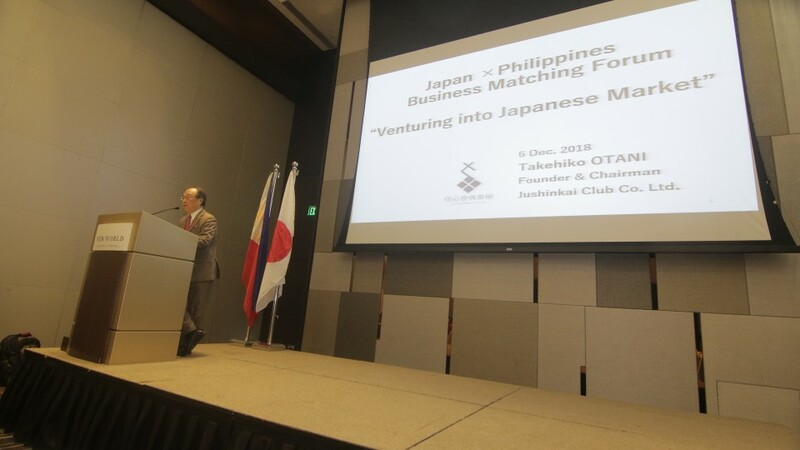 After the first part, the Forum proceeded to one-to-one meetings between Japanese business persons and potential Filipino partners. 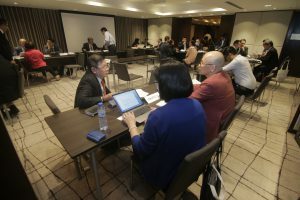 The industries for business matching session ranged over several sectors, specifically care giving, agriculture, food stuffs, construction, IT and other areas. 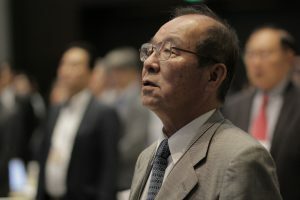 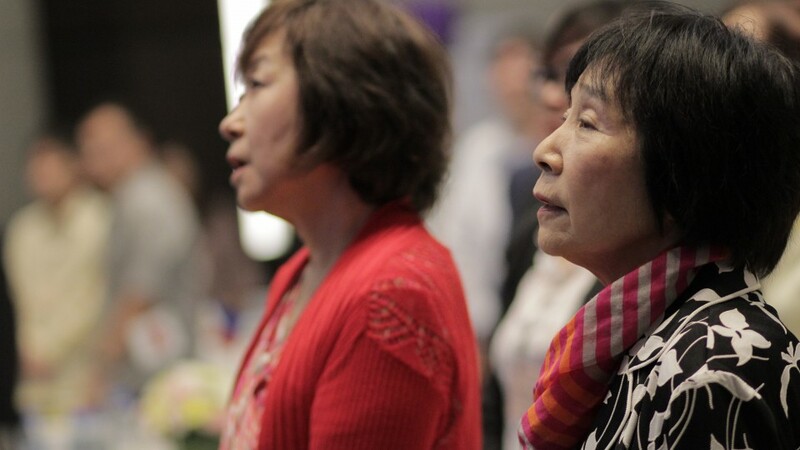 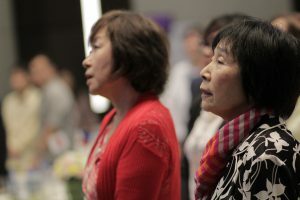 Against the background of the expected coming into force this April of the revised Japanese Immigration Control and Refugee Recognition Act which will provide for the introduction of up to 340,000 foreign workers over the next 5 years, there was a remarkably strong interest in exploring possibilities of dispatching and accepting workers. 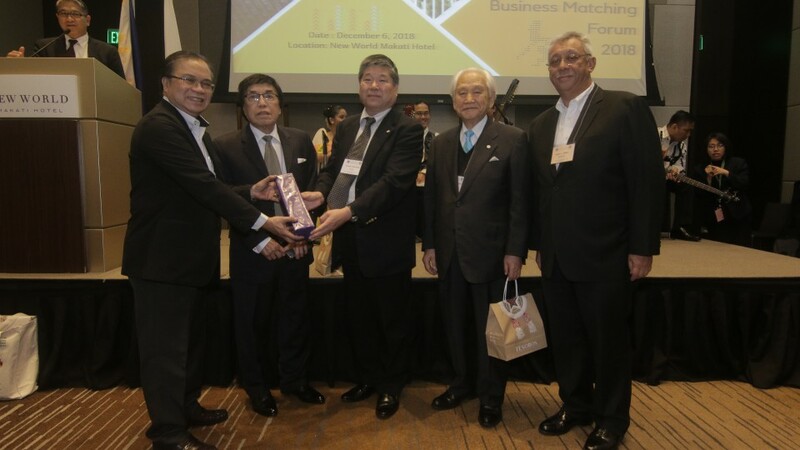 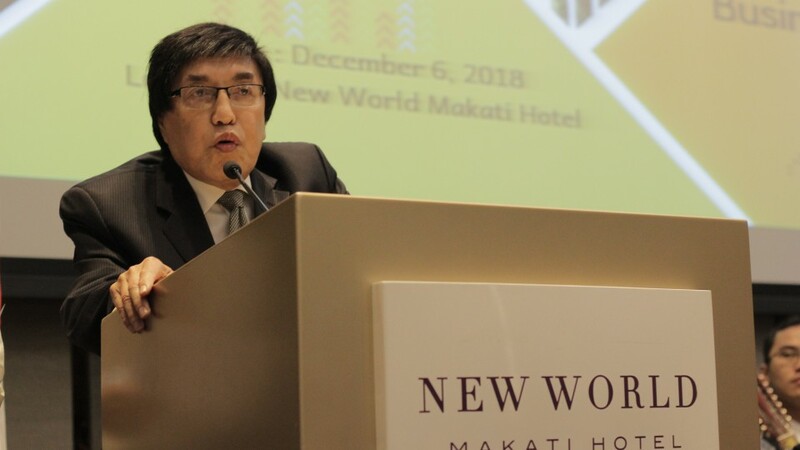 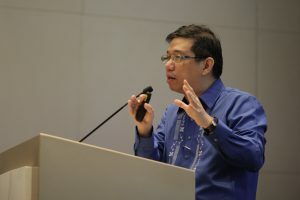 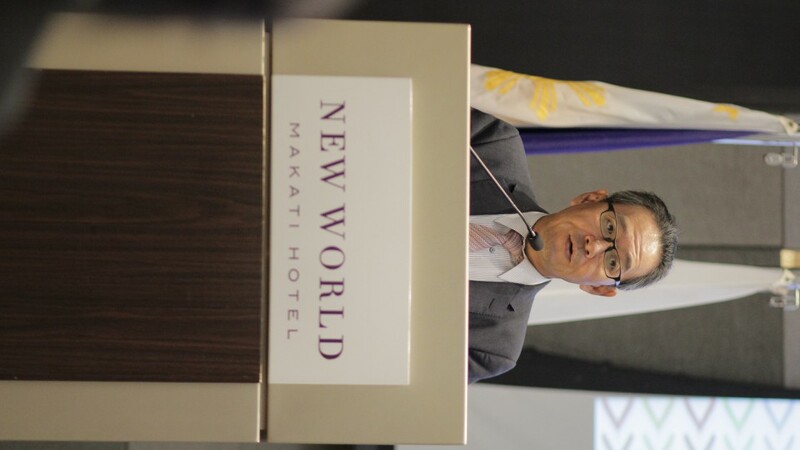 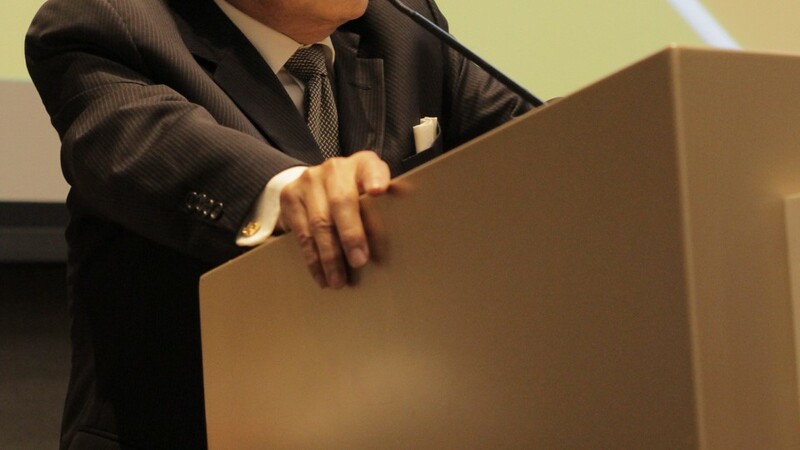 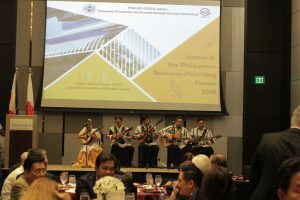 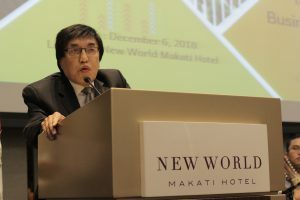 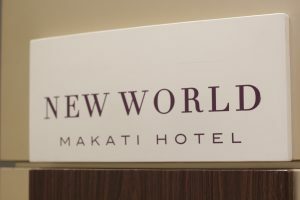 Asked about the significance of the business matching forum, Mr. Noel C. Litan, President of Profile Overseas Manpower Services Inc. in Makati City, replied: “At this stage, I am not sure if it will lead to successful business transactions, but I can say that the meeting has served as a useful opportunity for us to develop new business partners”. 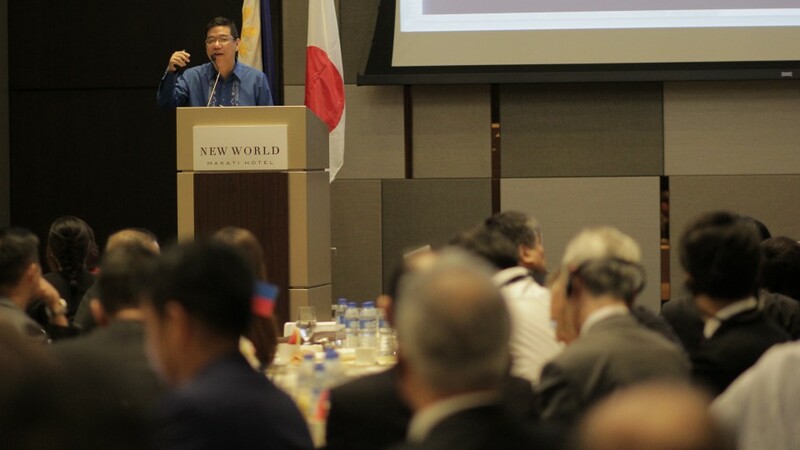 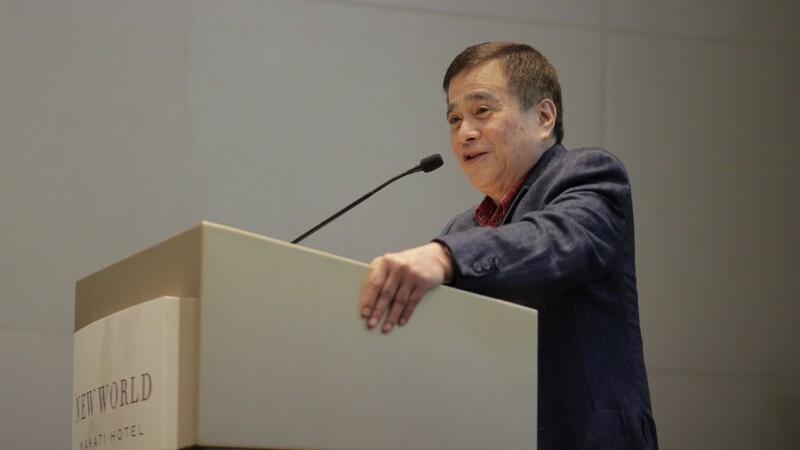 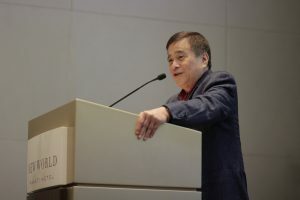 To conclude the Tokyo meeting, Atty Aniceto G. Saludo, Chairman of PHILJEC, made closing remarks. 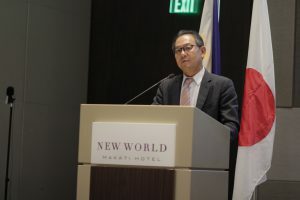 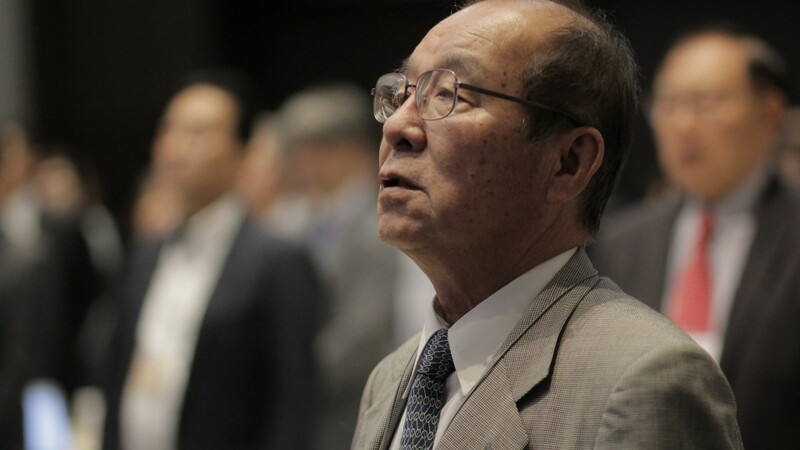 He said: “Currently there are a number of government-to-government business talks going on between the Philippines and Japan. 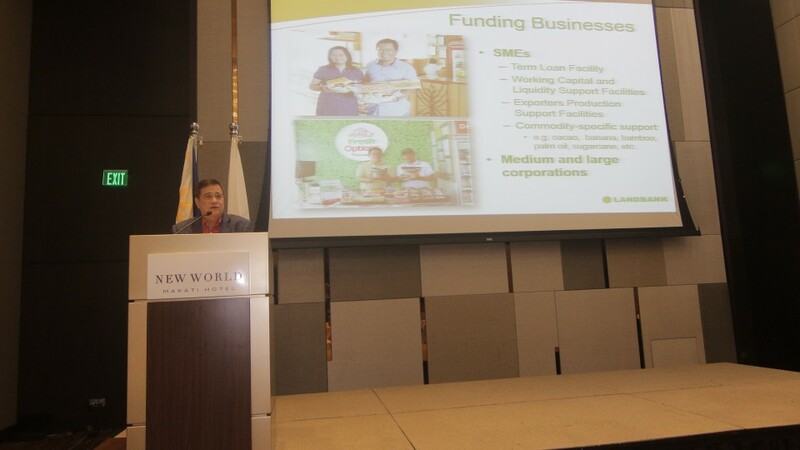 But they don’t necessarily cater for the needs of small enterprises. 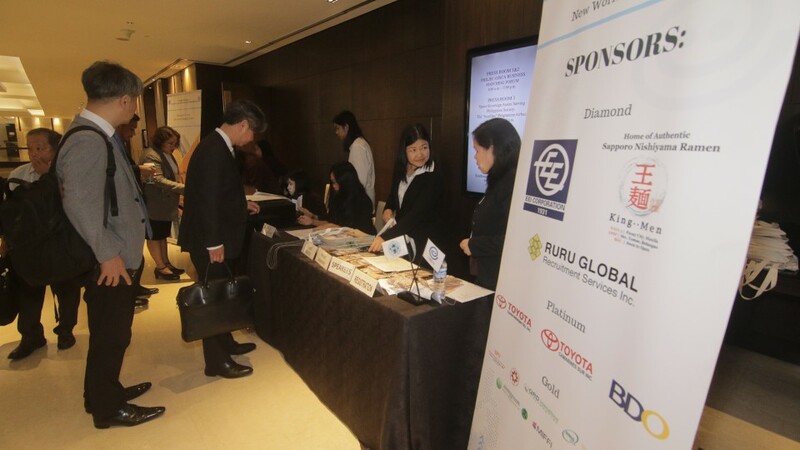 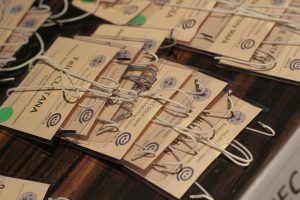 The increasing number of business persons from SME who are eager to join this event attests that we are offering a very important forum for initiating first contact”. 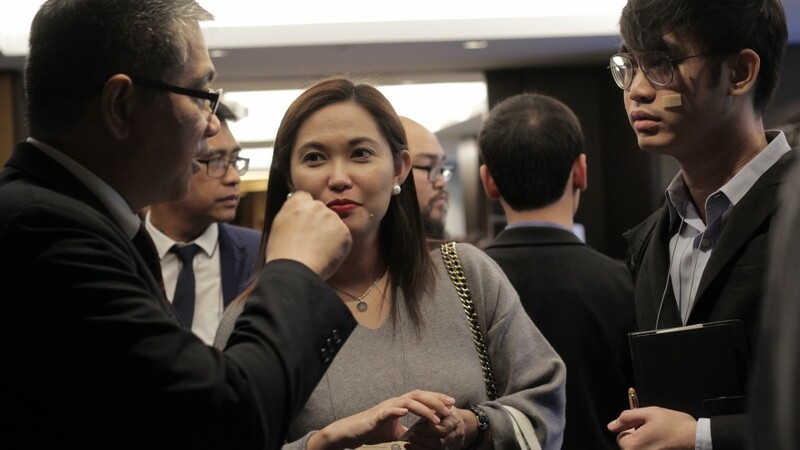 January 12, 2019 – PHILJEC recently held its first meeting for the year 2019 at its new office at Electra House. 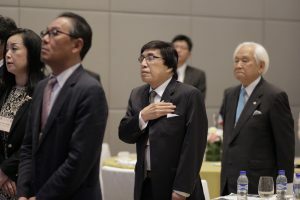 In attendance were all the 11 members of the Board of Trustees, headed by its Chairman, Atty. 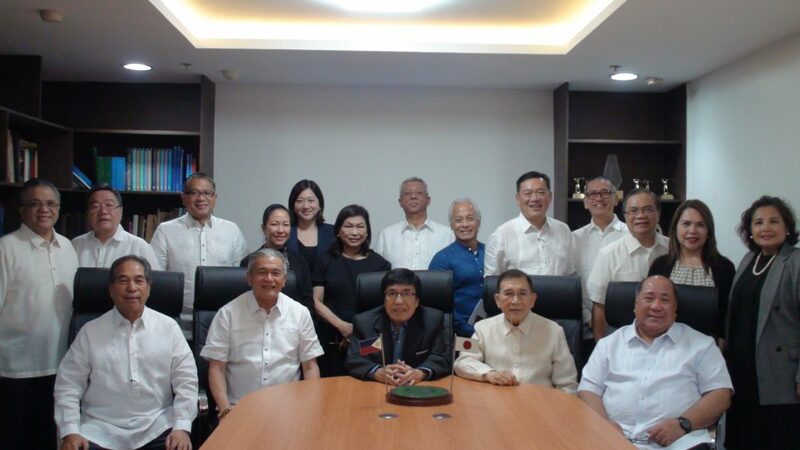 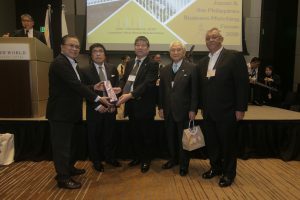 Aniceto G. Saludo, Jr. with the presence of esteemed members of its Board of Advisers, seated from left to right: Mr. Eddie Jose, Mr. Francis C. Laurel, PHILJEC Chairman, Atty. 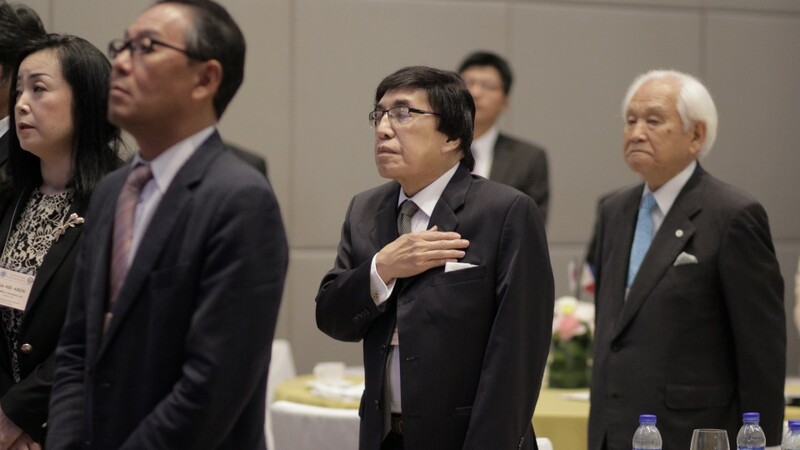 Saludo, Jr., Mr. Feliciano L. Torres and Mr. Roberto Jose Castillo.